In the hopes for a cleaner, less-polluted Egypt, the Minister of Environment, Yasmine Fouad, launched a new campaign in cooperation with different youth movements and civic foundations. The campaign’s aim is to clean the river Nile and raise awarenes of on water pollution. 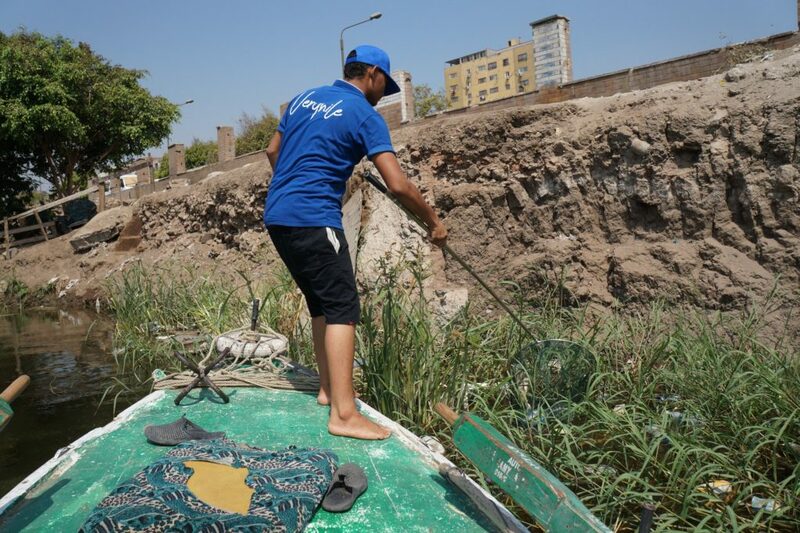 The campaign has been dubbed “Youth for the Nile”, and on Saturday the 9th of February, volunteers from all over Cairo will partake in cleaning the river Nile from plastic, trash, and other pollutants. During the campaign, the Ministry of Environment will be raising awareness both online and offline on the damage of plastic on marine wild life, and open the discussion on alternatives for the overly-used substance. The collaborating teams from the Egyptian Federation for Water Ski and Sailing, Greenish, and VeryNile will be working hand in hand with the ministry to clean Egypt’s main water source. The cleaning event will also include entertainment shows, as well as healthy food served without the use of plastic cutlery. “Youth for the Nile” cleaning campaign will take place at the Egyptian Federation for Water Ski and Sailing headquarters in Al-Manial. For registration or for more information about the program, click here. It is fair to mention that the initiative VeryNile in cooperation with Greenish took an amazing step a few months ago when they launched a cleaning event for the river Nile. With only 250 volunteers, the team managed to clean 1.5 tonnes of trash and plastic from the waters. The group stated that if the number of volunteers was a little over a 1,000 people, they would have cleaned 6 tonnes of garbage, which is a staggering number. For their next event, VeryNile hopes that they will be able to clean 10 tonnes, and one event after another, the river Nile will return back to its former glory; pure, and beautiful. After all, without the water from the Nile, life in Egypt would have been impossible.